I have implemented all of the assignment 4 requirements. This scene adds a simple gradient background. For my unique scene requirement I wrote a stupid python script which generates a plant. The plant is modelled on a weed that can be found outside my window. 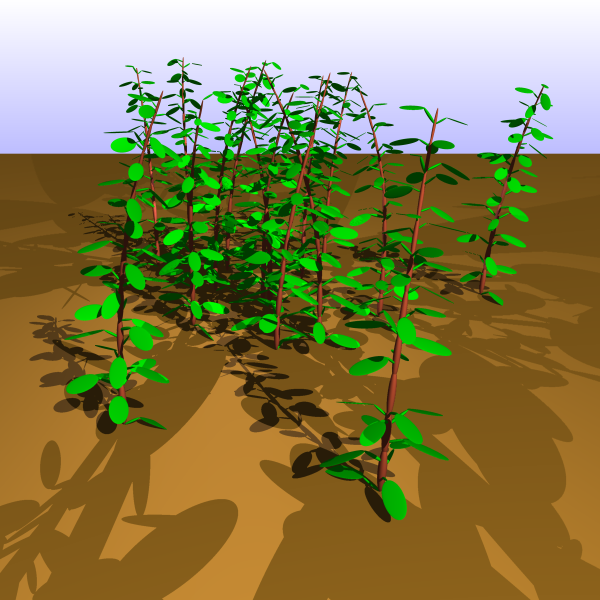 The generated plants look pretty fake, but if I used better primatives such as splines, the leaves and the stem could look more realistic. Ah well. Good enough.